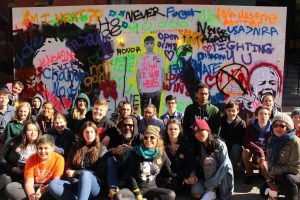 Over a weekend in mid-March, Boston University School of Public Health, March for Our Lives: Massachusetts and Stop Handgun Violence partnered to hold a regional student summit and training on gun violence prevention. We began on a Friday with Massachusetts students to learn about local gun trafficking and take a variety of workshops looking at the intersectionality of gun violence. Students were joined for an engaging discussion of Massachusetts gun laws by Attorney General Maura Healey. On Saturday, more student activists from Vermont, Rhode Island and Connecticut attended for another day of programming with Massachusetts which included an inspirational discussion with Representative Ayanna Pressley. 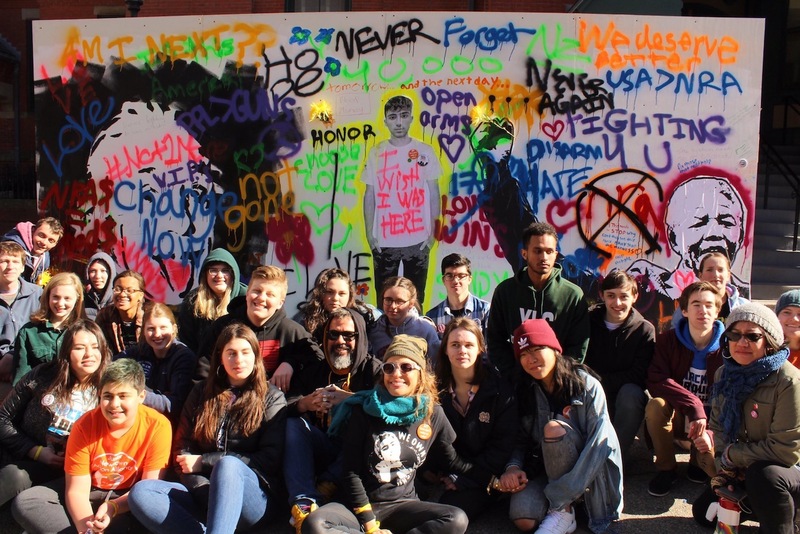 Finally on Sunday, students completed their weekend with a group project and an “ARTivism” workshop with Manuel Oliver, father of Parkland Florida victim, Joaquin Oliver. This last workshop was clearly the favorite from the weekend. Our incredible partner organizations included Change the Ref, Connecticut Against Gun Violence, Connecticut Teens Against Gun Violence, Granite State Progress, GunSense Vermont, Hartford Communities That Care, Inc., Jr. Newtown Action Alliance, Massachusetts Coalition to Prevent Gun Violence, Newtown Action Alliance, Operation LIPSTICK, and Rhode Island Coalition Against Gun Violence.